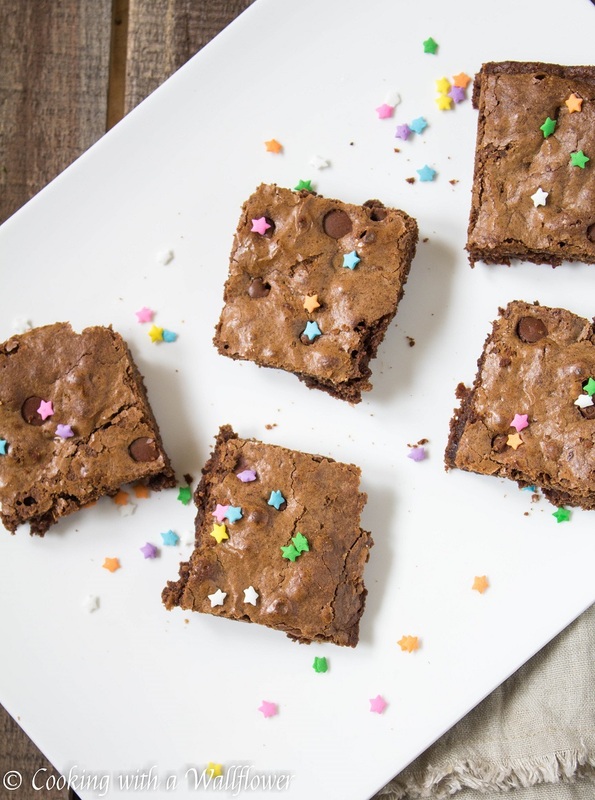 Chewy brownies with a hint of espresso in every bite. 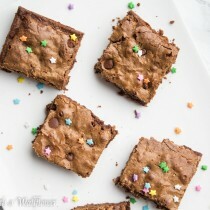 These easy to make chewy mocha brownies are decadent and perfect for chocoholics. Thank you soo much for making 27 and 28 the very best! You guys have been through it all with me these past two years! And I’m looking forward to what 29 brings! 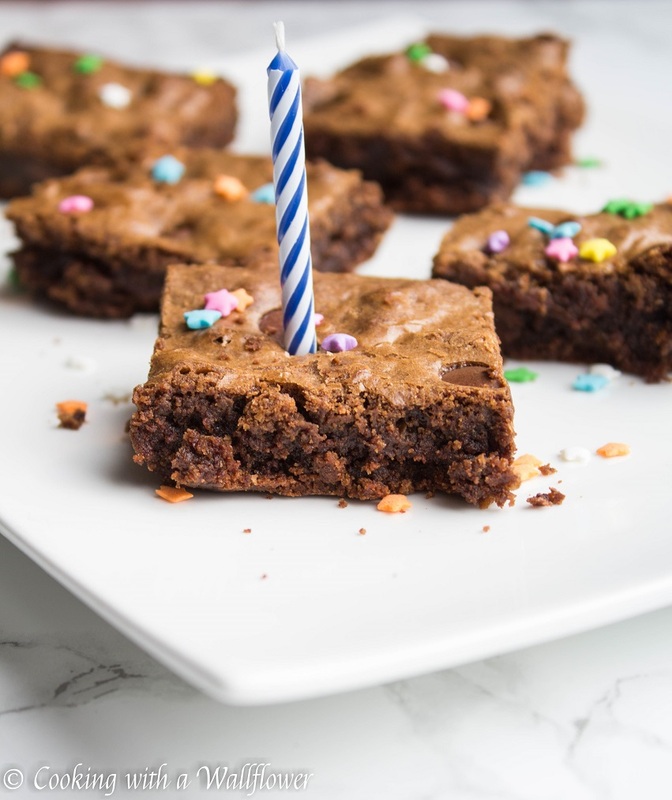 So I thought we should start it off right and celebrate with one of my favorite desserts: brownies! Filled with a ton of chocolaty goodness and topped with colorful sprinkles, of course. Because that’s how I like to celebrate! I love brownies because they’re so decadent. 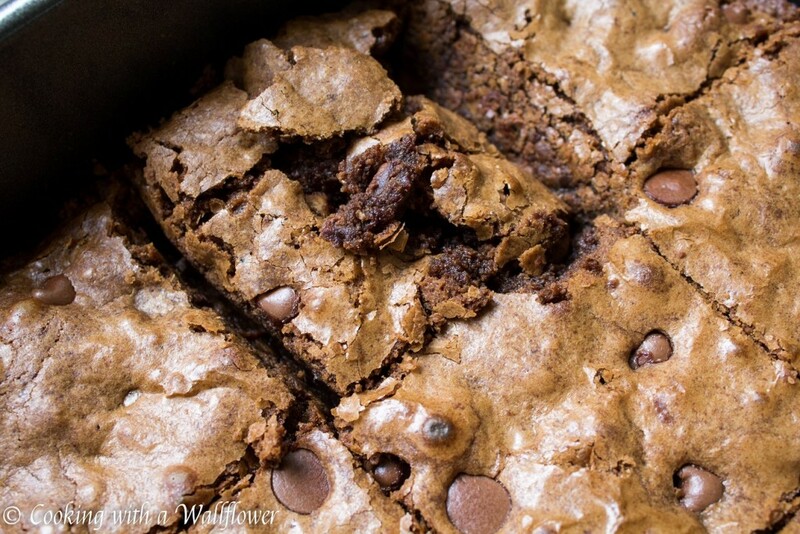 How can you resist the chewy brownie edges and the fudgy centers? Brownies were one of the first desserts I learned how to make. And it was that one dessert I liked baking in the middle of the night as brain fuel for studying. I mean, seriously. Can you imagine smelling all that chocolate baking in your oven at 1 am? Each bite is filled with chocolate and the slightest hint of espresso. The espresso powder actually deepens the richness of the chocolate. If you’re a self-declared chocoholic, like me, then I think you’ll love these brownies as much as I do. Preheat the oven to 350F. Lightly grease a 9×9 inch baking pan with nonstick cooking spray or with vegetable oil. Melt 4 ounces of semi sweet chocolate according to the package. I placed the chocolate in a microwave safe bowl and heated the chocolate in the microwave for 30 seconds. After 30 seconds, take the chocolate out and mix. 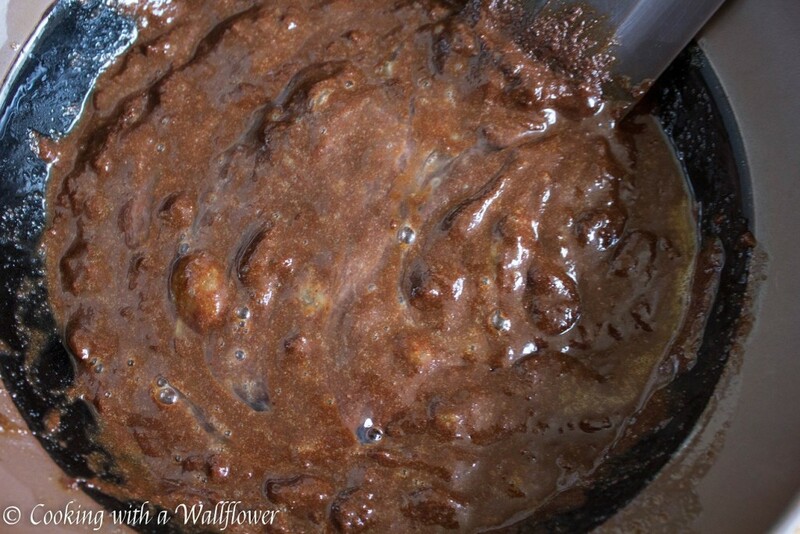 Microwave the chocolate for another 30 seconds, then mix. The chocolate should almost be smooth. 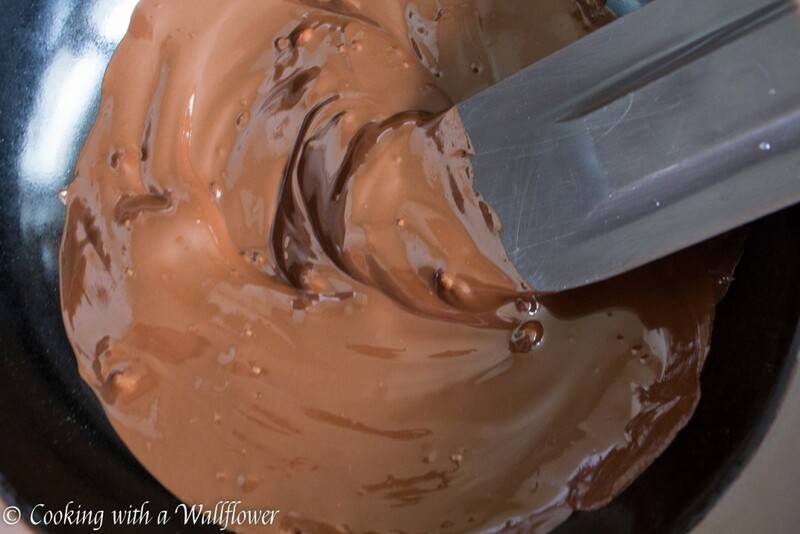 Continue to microwave in 10 second intervals and mix in between until the chocolate is completely melted and smooth. 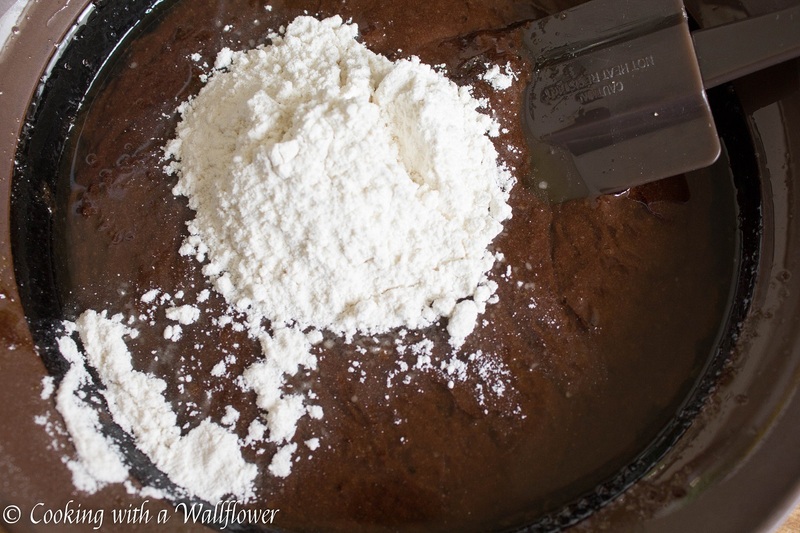 Add granulated sugar and brown sugar to the melted chocolate, mixing until the sugar is incorporated in the chocolate. Beat two large eggs and an egg yolk in a small bowl. Add the eggs, vanilla extract, and vegetable oil into the chocolate mixture. Mix until the eggs are incorporated in the chocolate. Sift the espresso powder with the flour until the espresso powder is incorporated in the flour. Add about a fourth cup of espresso flour at a time into the chocolate mixture, stirring as you add until all the espresso flour has been mixed in. Pour the brownie batter into the baking pan. 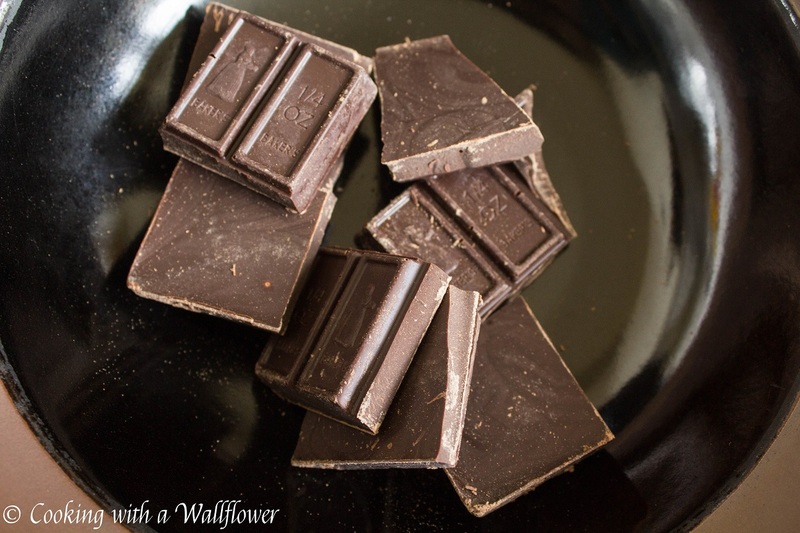 You can sprinkle chocolate chips on top for an extra dose of chocolate. Bake the brownie in the oven for about 25-30 minutes or until you can insert a toothpick into the brownies and it comes out relatively clean. Allow the brownies to cool for awhile before you slice into them. Otherwise, it’ll break apart. As you can see, I couldn’t resist. Serve the brownies warm or cold. If you place the brownies in the refrigerator, they become fudgier. It’s actually a great way to fix slightly over baked brownies. You can store brownies in an airtight container for up to about a week. 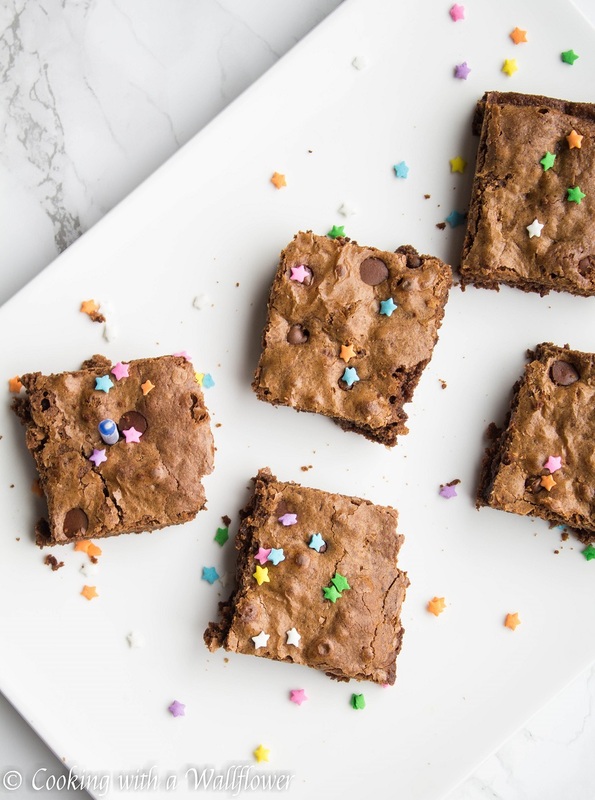 Chewy brownies with a hint of expresso in every bite. These easy to make chewy mocha brownies are decadent and perfect for chocoholics. Melt 4 ounces of semi sweet chocolate according to the package. Sift the expresso powder with the flour until the expresso powder is incorporated in the flour. Add about a fourth cup of the expresso flour at a time into the chocolate mixture, stirring as you add until all the expresso flour has been mixed in. 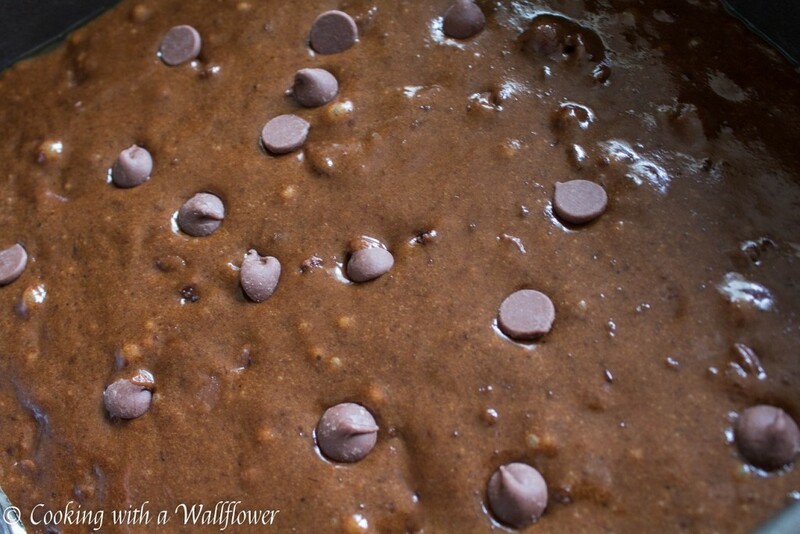 Pour the brownie batter into the baking pan. Sprinkle chocolate chips on top for an extra dose of chocolate. 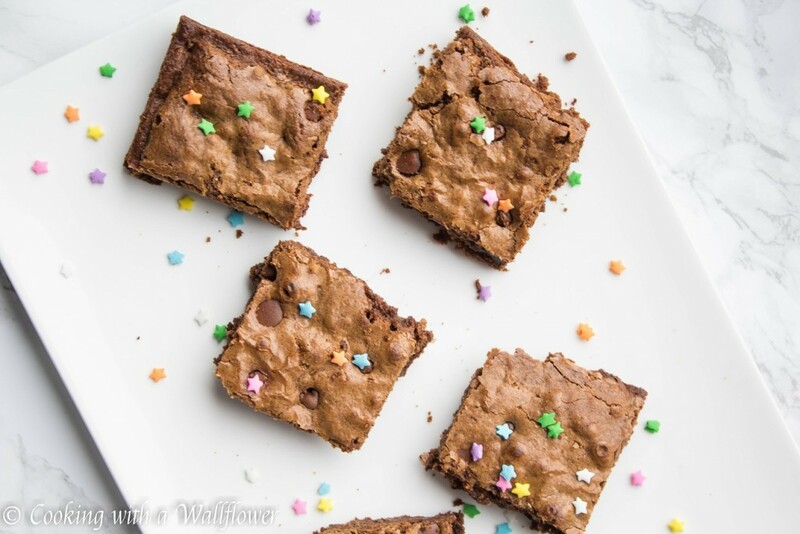 This entry was posted in Brownies, Chocolate, Desserts, Quick and Easy, Recipes, Vegetarian and tagged brownies, dessert, quick and easy, vegetarian. Happy Belated Birthday! And these look really good!! i love the addition of espresso in these decadent brownies Andrea! YUM!! Thank you for sharing at Fiesta Friday!! Thank you so much, Jennifer! And I definitely agree!